Project STOP is a frontline initiative creating comprehensive, economically sustainable waste management systems in areas of high plastic leakage into the ocean. The world is struggling with how to solve ocean plastic in a sustainable and scalable way. The fact is meaningful change requires hard work. A key pathway to success involves intensive, locally appropriate, on the ground efforts city by city, region by region, backed by national agreements and international support. Cities are assisted with investment, technical skills transfer, and embedded implementation teams. This is the work that results in permanent, verifiable ocean plastic reduction. Project teams assess potential cities, looking for high levels of ocean plastic leakage and dedicated government support. Baseline assessments, government agreements at all levels, and experts gathered from around the globe to design dependable, low cost, scalable waste system models built from the world’s best practices. 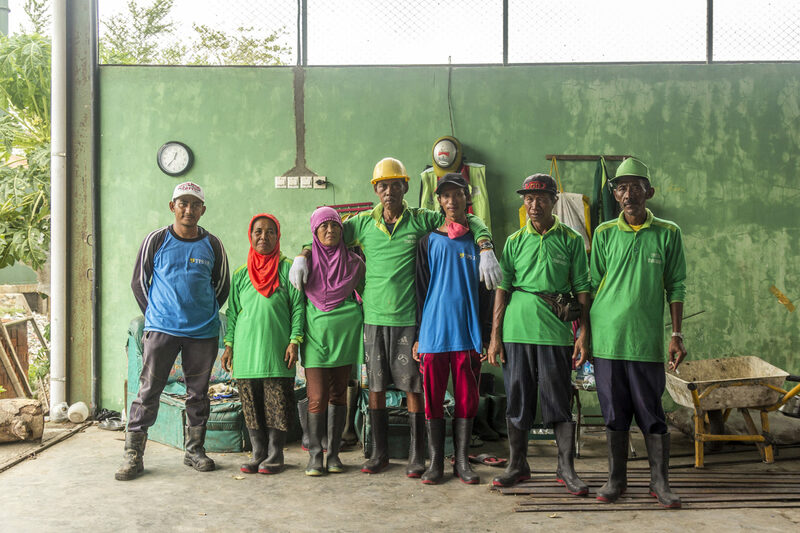 In partnership with government authorities and local stakeholders, the team prepares the community to operate its own economically sustainable waste system and does not leave until the job is done. Applying learnings from previous cities, “system enabler” teams expand to new regions to leverage more change. Project STOP also targets wider impact through government policy and industry practices and supports other organizations and communities working on this issue. Measurable impact: Because we work at the systems level, unlocking every bottleneck across the full waste system in a city, our efforts directly and permanently reduce ocean pollution. Deep transparency: We track 14 metrics across waste and the secondary impacts of poor waste management, and are working to set a standard for determining local ocean plastic flux levels. Quality supply of clean waste feedstock and circular revenue streams: We derive as much value from the waste stream as possible, finding markets for ‘lower-value’ flexible plastics and processing organic waste for local business markets.